Tea is one of the most refreshing and popular beverages of the world. India being the world's largest producer, exporter and consumer of tea, there is wide scope for careers in this field. Though not a very well known career option, jobs in this area can be interesting. There are a variety of jobs one can specialize in a tea industry. The jobs put together is known as tea management. Tea tasting is one of the highly specialized area of work. Other areas are that of researchers, plantation managers, tea brokers, consultants etc. Work in the Tea industry includes plantwork, processing, auctioning, branding, marketing and research. Plantation work involves nurturing tea plants in the plantations which includes preparing the soil, applying the appropriate fertilizers, choosing the right variety best suited for the prevailing conditions and supervising the pinching and plucking of the leaves. Processing work involves the crushing, tearing and curling of the leaves, which takes place in the factories. The tea is then packed and dispatched to auction centers. The various samples of tea from different plantations are tested, blended and branded by the tea tasters in the auction centers. Tea brokers who have a background in planting, tasting and a know how of market trends, auction the tea and the Marketing personnel market the final product. 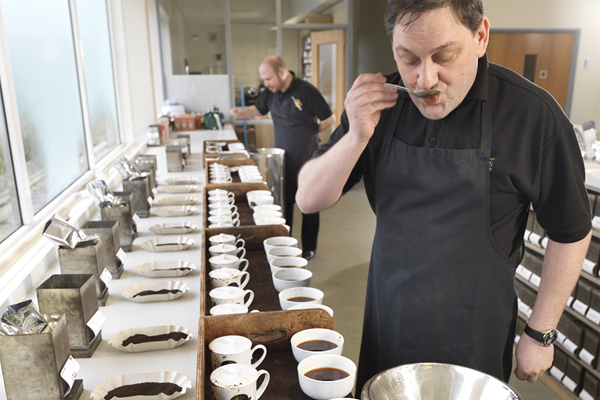 Although computers are now used for blending varieties of tea, the tea taster’s verdict is still considered the ultimate test for determining the quality of tea. In India, best tea growing areas are Assam, Darjeeling and Nilgiris. Several varieties of tea can be grown in one garden. As tea is a seasonal plant, the same leaves from the same bush, plucked in different seasons, have different bouquets. Each of these varieties require different ways of handling.